Our Networks provide communication solutions to many industries. Agriculture and farming has changed a lot over the years. In this day and age farmers and growers need to communicate quickly with their employees in the office and in the field. They need to get their products to market quickly a delay could cost thousands of dollars. We have the "hands-on" experience to provide farmers a comprehensive wireless communications program. Rates start at $18.00 per month, per radio and includes unlimited airtime. Click here to contact us to learn more and schedule a free demo. Getting materials to and from job sites is time sensitive. That's why effective voice and data communications is a necessity. The AirCall Communications digital two way radio system offers your drivers clear, digital communications to other drivers and to your corporate office. Our system utilizes Motorola's MOTOTRBO Digital Radio Platform and offers clarity and range that significantly outperforms traditional analog radio systems. Transporting students to and from school safely is a foremost priority for School Transportation Directors, School Bus Drivers, School Administrators and Parents. Dependable radio communications that talk clearly throughout the school district back to the school is a must. Achieving this has now become easier. With the AirCall Communications digital voice and data two way radio system school administrators and transportation directors can communicate more easily with staff members and drivers, send text messages and know exactly where their vehicles are at all times. Efficiency is of utmost importance for any business, but especially for businesses that have a fleet of vehicles that are the primary source for their profitability. Having the ability to have instant voice communications with drivers is crucial for planning additional service calls along their planned route, or if an emergency comes up and their help is needed at another service call. Towing companies need clear communication and fast response times when clients need their services. The AirCall Communications digital system with the our Data Plan offers seamless text messaging and GPS vehicle tracking with our neoConnex server. Getting materials to and from jobsites is time sensitive. That's why effective voice and data communications is a necessity. The TRBOconnect system can offer your drivers clear, digital communications to other drivers and to the office. 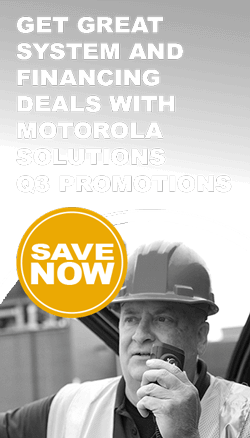 AirCall Communications utilizes Motorola's MOTOTRBO Digital Radio Platform and offers clarity and range that significantly outperforms traditional analog radio systems. You can select a single site for local coverage, or multiple sites for wide-area coverage. We can customize it to meet your coverage area needs. In addition to solid voice communications, you can add data applications such as fleet management. Fleet management data applications allow you to track vehicles, plan optimum routes, fuel management, drive management and health and safety.